Fix Iphone Detroit Archives - Detroit's Best Cracked iPhone & iPad Repair Team! Ouch! Never a fun time to crack your iPhone screen in Detroit. This one was especially brutal. Tony dropped his iPhone 7 while getting coffee this morning. When he bent down to pick it up, he was amazed with all the new colors that had emerged. A bit artistic he thought, despite being sadden by the fact that he now needed a iPhone screen replacement in Detroit. He began looking around for repair services that could replace the broken screen on his iPhone 7. This was a first for him. Plenty of his friends had broken their iPhone screens before so he knew it was a possibility. 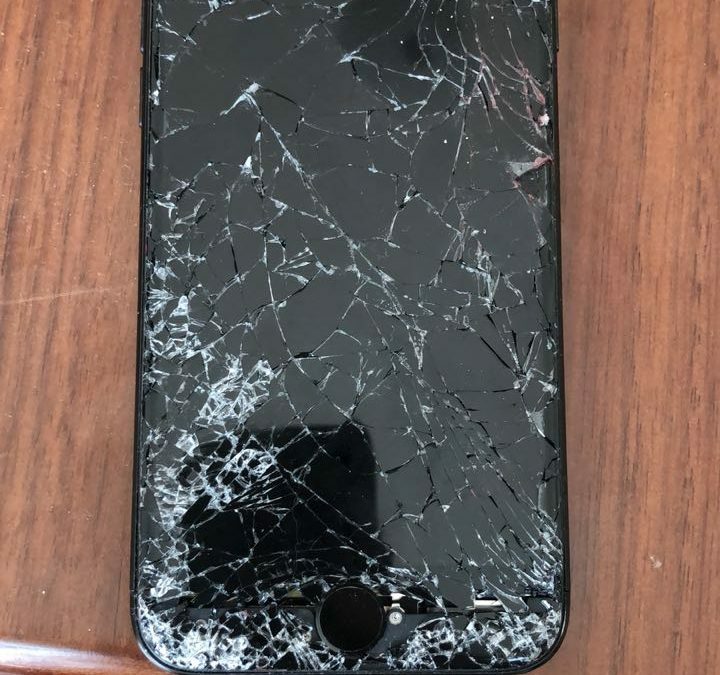 Before long he found an amazing iPhone repair service in Detroit that could replace the screen on his iPhone. After a few minutes he give us a call and set up an appointment. We met Tony at his office in downtown Detroit and replaced the cracked screen in about 30 minutes. Right in front of him! He was impressed by how easy the whole process was. We try to put a wonderful service together for our customers. And try to make it as simple as possible to replace the screen on your broken and cracked iPhones and iPads. Repairing iPhone and iPad screens is our favorite thing to do! If you or any one you know is walking around the city of Detroit with a broken iPhone screen, have them give us a call. We can usually replace the broken screen the same day you call us. Wether it’s at your home, office, or coffee shop, repairs generally take about 30 minutes. Our work is guaranteed and we have a six-month warranty on replacement screens. We love helping folks get their devices back to normal and look forward to hearing from you soon! 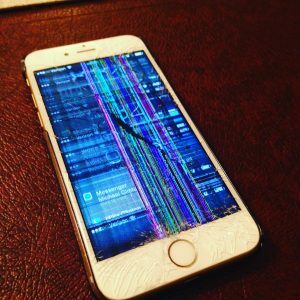 A simple search like “Fix My iPhone Screen in Detroit” may bring up a number of different iPhone repair services in the Detroit area. Many of them provide a wonderful service for iPhone owners to get their cracked iPhone screens replaced. One, however, stands out from the rest. Not just because of the awesome name (come on – iRepairMotown is pretty sweet! ), but more so because of the friendly, fast, and efficient service this company provides for iPhone and iPad owners who have unfortunately been through a difficult time. We love what we do, helping out fellow Detroiters replace their broken or cracked screens. Today Ryan explained to us that he did a Google search for Fix My iPhone Screen in Detroit and came across several different options. 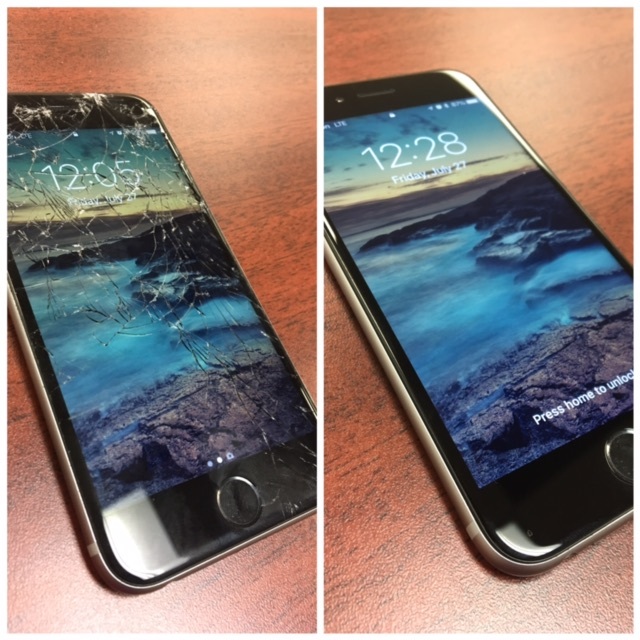 He chose us because he needed his iPhone 6S fixed FAST! We are located right down the street from him and could meet him during his lunch hour. Ryan had broken his iPhone 6S after dropping it one too many times. Although he had a case on it, the way it dropped proved to be too much for the phone to handle. It ended up cracking and taking out most of the screen. Ryan gave us a call in the morning and we were able to meet with him shortly after. Check out the before and after pictures of his iPhone. We loved the background wallpaper on his phone, but the cracks were definitely taking away from the beauty of that beach. As the clock in the photos show, it took us exactly 23 minutes to replace the broken screen on his iPhone 6S. If you are looking for a fast, friendly, and efficient iPhone screen repair in Detroit, be sure to do a quick search for Fix My iPhone Screen in Detroit and give us a call. Deborah! Congratulations Deborah! (Although that is not your real name. 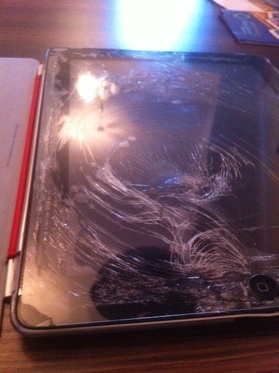 We wanted to protect one of our clients from the “delight” of having a worst cracked iPhone we have seen in a while. How did this happen, you ask. Well, it all started when Deborah decided to put her iPhone SE on top of her car when she was trying to get into the driver seat. Her hands were full and she thought she could just place her iPhone on the roof of her car in order to get everything in order before returning home from a long day at work. Once she was settle and things were organized in her car, she started up the engine and drove off. Within seconds she realized what she had done only to look out the rear-view mirror at her iPhone SE bouncing off the concrete road behind her. When she drove back to pick up her iPhone off the ground, the result looks like it does in the picture. She was devastated. Her baby had taken a beating and now she was sure if she’d ever be able to get it working again. A few tears were shed and a huge hit to her pride took place. How could she do such a thing. To her somewhat relief, she could still hear the phone ring and feel it vibrate. She thought there might be a chance to bring it back to life. Enter iRepairMotown to the rescue! She had heard about our service through the grapevine (shout out to one of Motown’s best – Marvin Gaye) and decided to get in touch. She filled out one of our repair forms and got a call on her office phone moments later. We scheduled an appointment with her an hour later. To her amazement, a screen replacement did the trick and she had her baby back to normal. 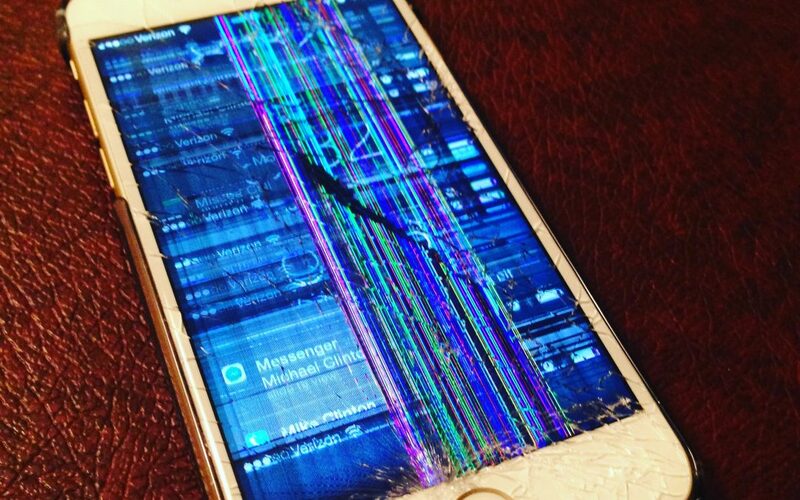 Where To Get My Cracked iPhone Fixed in Detroit? …was the question Brian asked himself this afternoon. After his iPad 4 took a tumble to the concrete floor, Brian was in need of a iPad repair service in Detroit that could fix his broken screen fast. After searching around for a few minutes, he stumbled upon us and decided to fill out one of our repair forms. We returned his called promptly and scheduled an appointment with him to replace the screen at his office in Ford Field. Within 45 minutes Brian had a brand new looking iPad 4 in his possession.